Fluidotherapy Model 110 Our Fluidotherapy line comes in three different models that have specially designed fluidized beds, that combine the precise control of dry heat temperature and airflow with CELLEX media. Large capacity; holds 60 lbs (27 kg) of CELLEX media. Pulsed or continuous operation modes. Fluidotherapy Units can be found in our extensive online collection of products from globally recognized and trusted brands, including Chattanooga. 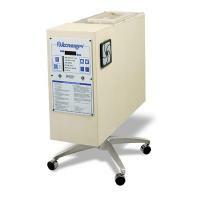 An excellent option to consider is the Fluidotherapy Extremity Unit. 39" x 38" x 23"